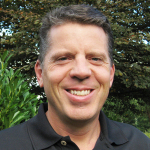 Gary Black is a licensed massage therapist (LMT) specializing in a very gentle but highly effective form of myofascial release. The story of how Gary discovered myofascial release is a story that many of you in stressful jobs can relate to. Gary served in the US Army for an outstanding 13 years before beginning a 12 year career as a service manager in the lighting industry. Like so many others, Gary experienced stress, fatigue and pain on a daily basis and felt increasingly disconnected from himself, his friends and his family. He lacked vitality and yearned for a positive change where he could do good for both himself and others. Gary initially discovered myofascial release as a holistic approach to his own struggles with stress, pain and fatigue. He found it to be such a wonderfully comprehensive solution for health and wellbeing in his life that he changed careers in order to help others feel the the same level of renewal and vitality that he was feeling. He went to massage school and for the past 4 years, Gary has immersed himself in extensive training with John F Barnes, a recognized world leader in myofascial release therapy. He is now a quiet evangelist for myofascial release as a means of providing holistic support for health and wellbeing. Gary uses gentle myofascial release to treat a number of conditions including stress, carpal tunnel, pain in the back, neck, legs and arms as well as injuries related to accidents. He regularly works with accident injuries involving worker’s compensation and auto accident injuries. Gary is here to help you regain your vitality and your freedom and to help you get the support you need in order to maintain an active healthy lifestyle. Gary can be seen at the Heart of Wellness clinic in Tumwater, Wa. If you’d like to schedule an appointment, please call 360-570-0401. Gary is a preferred provider in nearly all insurance networks. We also have self-pay rates if you do not have health insurance benefits for massage therapy. Gary’s usual self-pay initial visits are $95 and his usual return visits are $75. Not sure if your insurance has massage therapy benefits? Call us at 360-570-0401 and we will help breakdown your benefits for you. Additional Questions? Call to set up a risk-free 15-minute initial consultation with Gary.